Central to the safe and efficient operation of a dental practice is the instrument processing and sterilization area. Functioning properly, it allows dental practitioners to create an environment that minimizes the risk of cross-contamination and ensures the safety of patients and staff. Designed properly, it keeps the office running smoothly and on schedule. Whatever your needs or space requirements, ILS offers a steri-center custom designed to enhance the process of instrument flow in your dental practice. 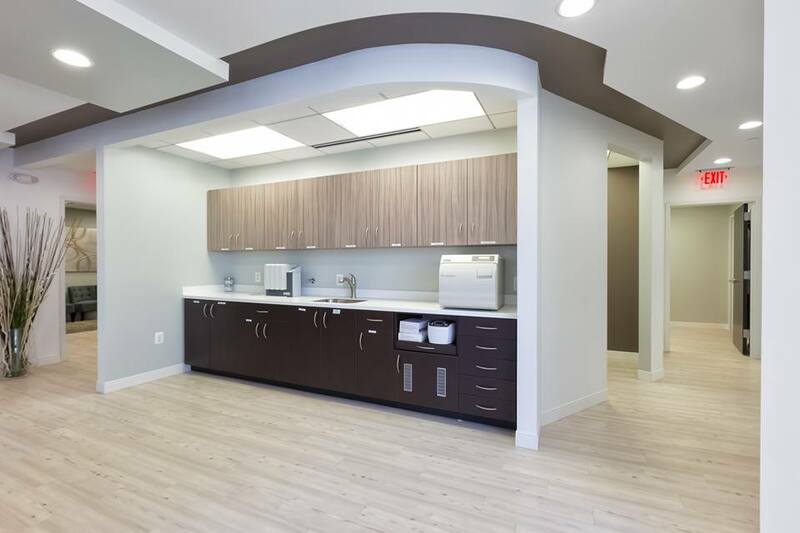 Combining the CDC Guideline recommendations for sterility assurance and 25 years of experience in custom cabinetry design, the ILS Steri-Center takes center stage. It addresses the processing on instruments from soiled to cleaned, to packaged, sterilized and stored in a distinct yet individualized manner. Not just “out of the box” cabinetry, ILS Steri-Centers are designed with your vision and staff needs in mind. Let us help you create a space that functions efficiently, promotes safety and still has esthetic appeal.